This guide is designed for non-devs and will show you a sample project and help you finish setting up authentication. Exciting! 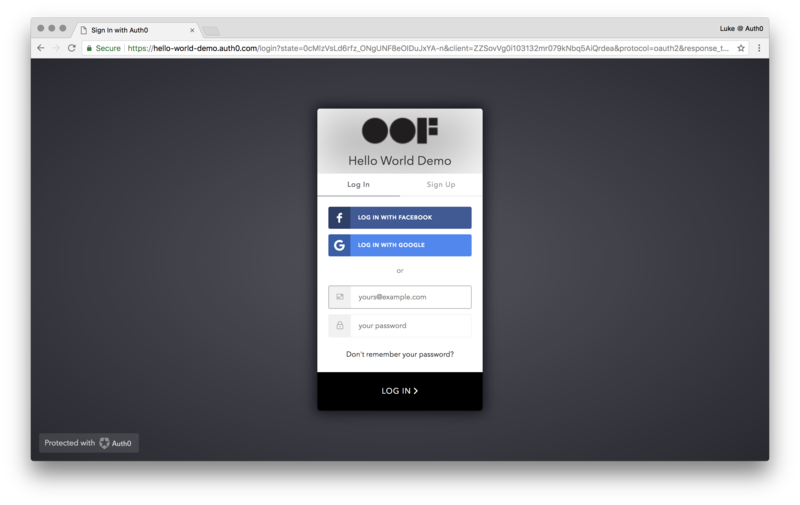 TL;DR: In this guide, you'll finish adding authentication to our simple single page application, customize Auth0 Lock, enable social login with Facebook, and set up multi-factor authentication. If none of this makes any sense, don't worry. We're going to explain that as well. Note: This guide assumes you're on a Mac. Drop us a comment below and we can provide updated instructions for a Windows machine or Ubuntu machine. Before you get started, you're going to need NodeJS installed on your computer. This bit of software allows you to run stuff locally, like web servers and code. Note: This guide has been developed with a target audience that may have no exposure to development. If you're a developer, you might want to try out one of our many other blog articles, on a language you might be familiar with. You're going to need some bits before we get started. Tip: With no exposure to development or editing code, you might find yourself scratching your head. Use the comments section at the bottom of this guide to get help from an Auth0 engineer – you might also find some helpful info. If you do not have NodeJS installed on your computer, install that now. If you don't know whether or not you have it, it shouldn't hurt to install it anyway. Go to nodejs.org where you're looking to download a version labelled LTS, or long-term support. Note: LTS is the version most likely to be supported for the next few months. Long-term support versions usually are the most robust, tested and adopted versions which are only subject to smaller updates that try not to introduce changes that could break your software. 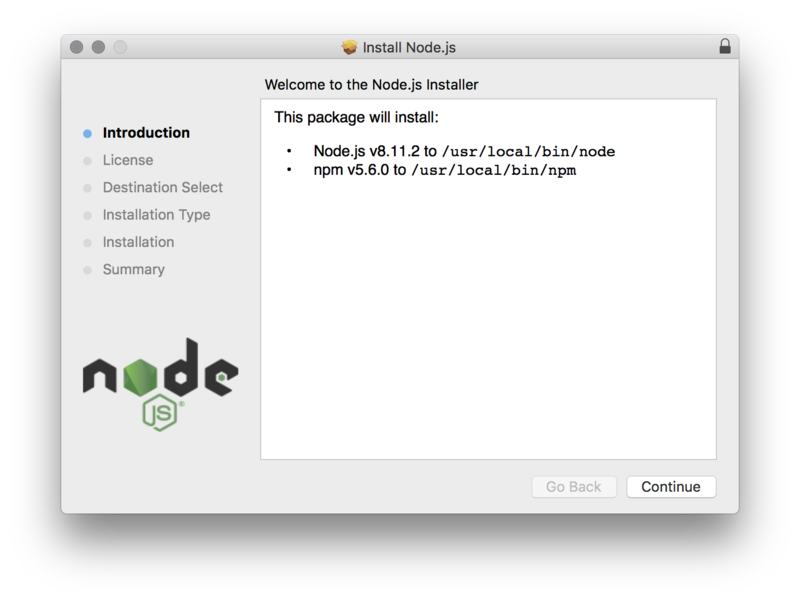 Double-click on your downloaded NodeJS package and install it. Nothing to install this time. 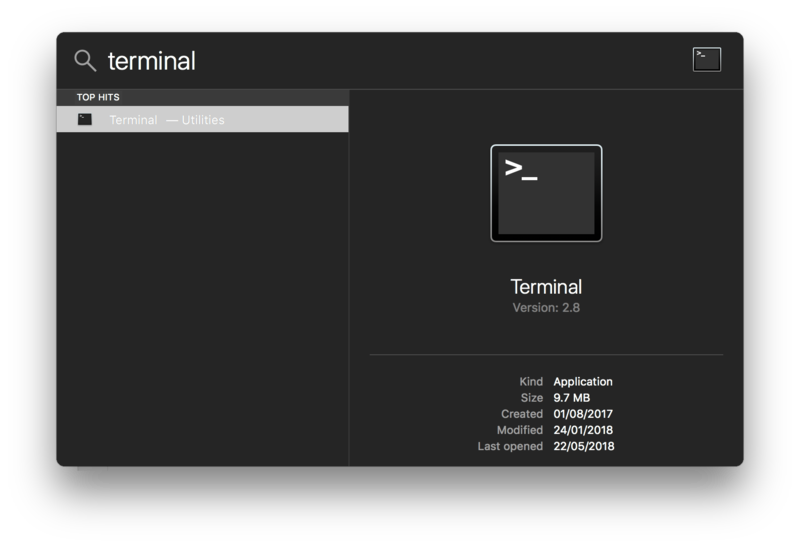 But, take a look at what Terminal looks like. 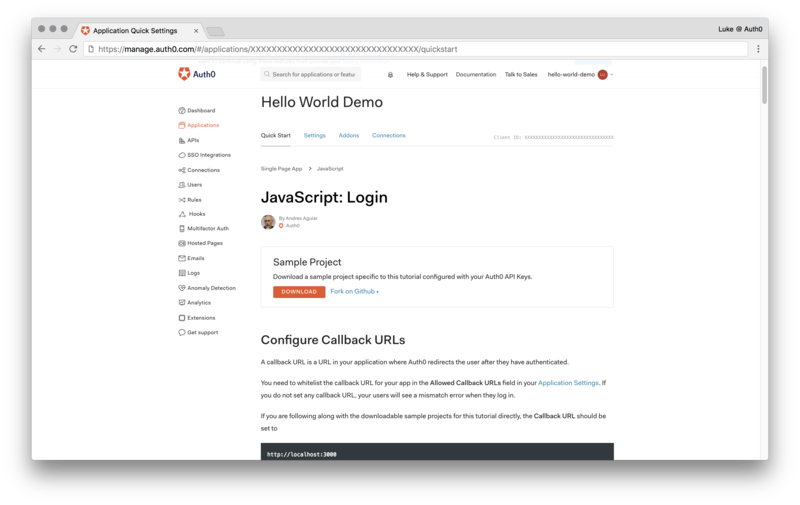 "This guide is designed for non-devs and will show you a sample project and help you finish setting up authentication. Exciting!" Press Command+Space together. This opens Spotlight Search, where you can type Terminal and press enter. This opens up Terminal for you. 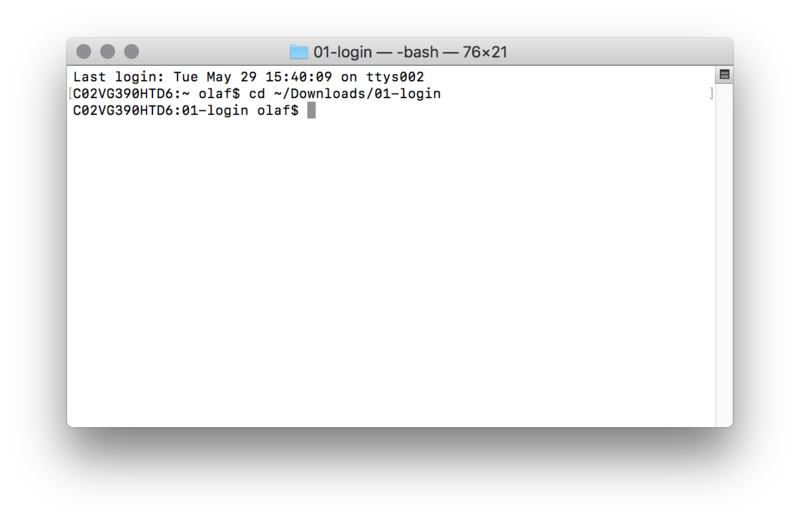 Being in Terminal is like being in a folder that you can tell what to do, without using your mouse. You should be able to issue a command like this, to change to your Downloads directory. Remember what you did here, because you'll need to get to use Terminal to access a directory in this guide. Sign up for an Auth0 account. You can use an existing account, or an existing tenant, but I would recommend a nice clean place to start by signing up a fresh and creating a new tenant from there. Name your new application and give it the type "Single Page Web Applications", and click the "Create" button. Download the sample project by clicking DOWNLOAD, it will be named 01-login.zip. 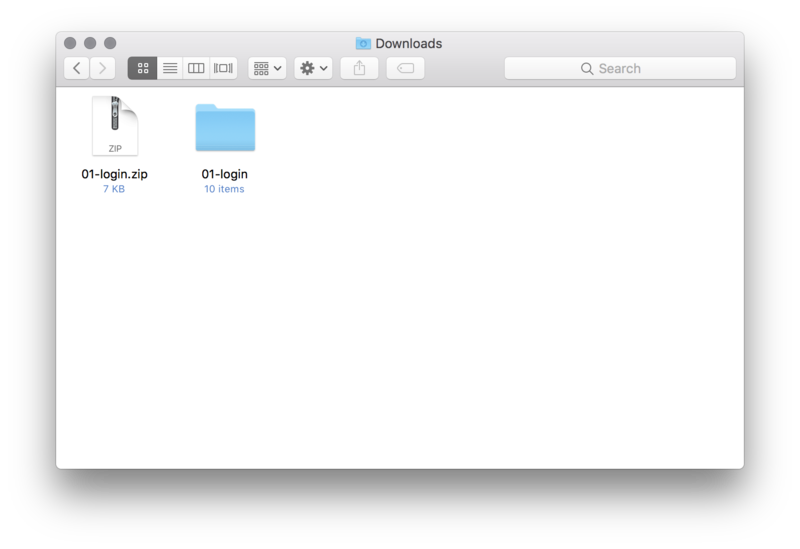 Using Finder (Mac's standard file browser), find the sample project zip file 01-login.zip in your Downloads directory, and double click it to extract it. Open Terminal and change to the sample project directory by typing cd ~/Downloads/01-login into terminal and pressing enter. Run these two commands in your Terminal window. 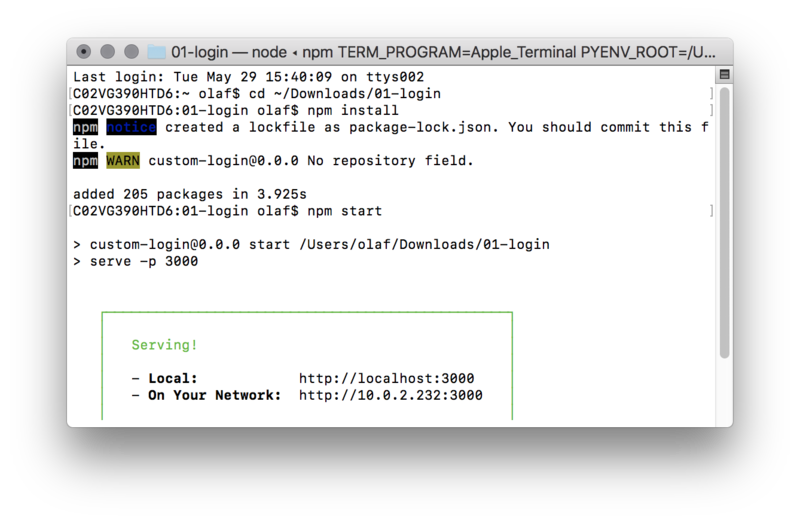 Type npm install and press enter. It will install some stuff, be patient! Type npm start and press enter. This will now "run" our sample project. Note: If you try and log in on the sample project, you'll get an error. The Log In button is broken you need to fix it. Note: The sample project's source code is pre-configured with your application settings from the forms you filled out. So what you're looking for is in your Auth0 application config. 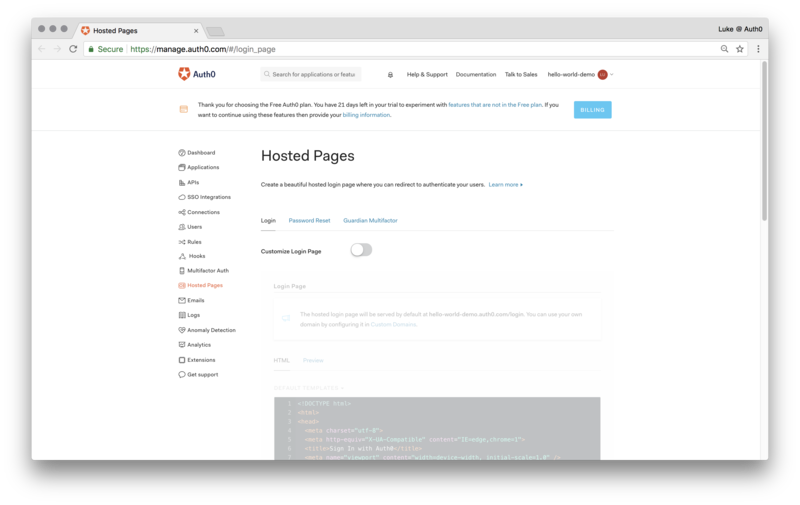 Go to your Auth0 Dashboard and open up Hosted Pages from the main menu. Tip: You can search for text on a web page using Command+F and typing (or pasting) the text you're looking for. Try text that is more likely to be unique! Once you've enabled Custom Login Page, you'll see the code editor become available below. Don't be afraid! In this section, you'll find some code that can be uncommented out. Tip: Commented out code is ignored when the code is run on the server. It begins with // and it will be grey in appearance compared to the colourful highlighting of the rest of the code. You need to find, uncomment (enable) and edit the theme's logo and primaryColor. 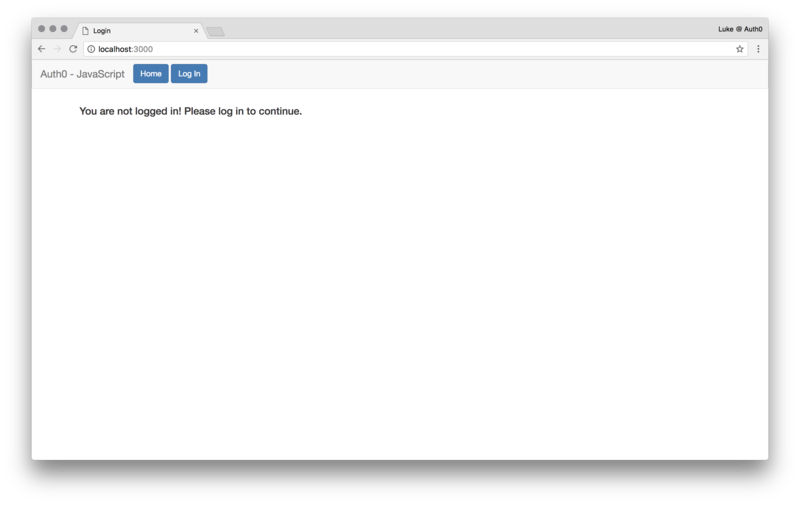 Test your sample project's login. It should look something like this. Go to your Auth0 Dashboard and open up Connections -> Social from the main menu. Go to your Auth0 Dashboard and open up Multifactor Auth from the main menu. Enable Push and SMS multifactor authentication. Instead of just logging in, sign up using a username and password on your sample project. You should spot multifactor is working when you come across this. Go to your Auth0 Dashboard and open up Rules from the main menu. Find the template rule Email domain whitelist under the access control section and select it. Edit the whitelist to only accept your email domain. e.g. @gmail.com or @auth0.com. Try and sign up with an email address not inside the domain you just limited it to. You should get a nice error! By now you should be a pro! Right? "Become a pro! Or, not? Maybe just see how quickly even non-devs can setup Auth0 as an identity and access management provider." If you've got this far and you've skipped some labs, or struggled to even get started; don't be disheartened or dismayed. This is a programming guide for people who are not programmers. Use our comments section below to get in touch with any questions you might have. 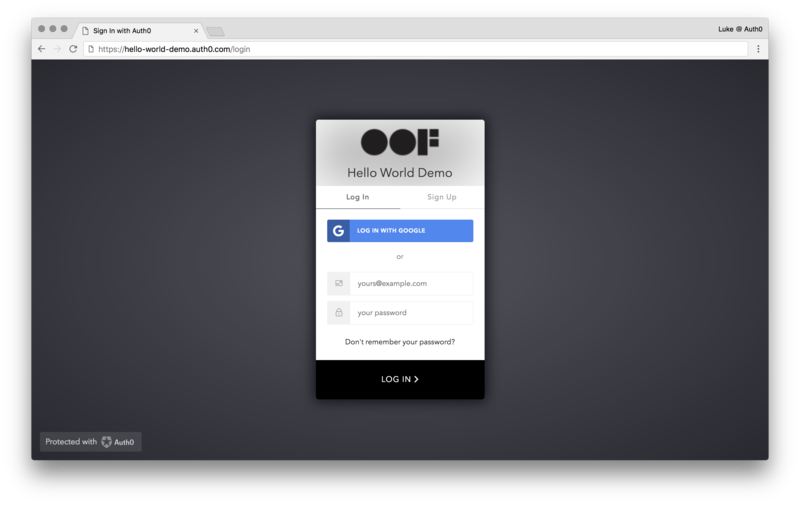 Using Auth0's Auth0.js SDK in your sample project you've quickly got a web page that you can login to using Auth0's Universal Login. 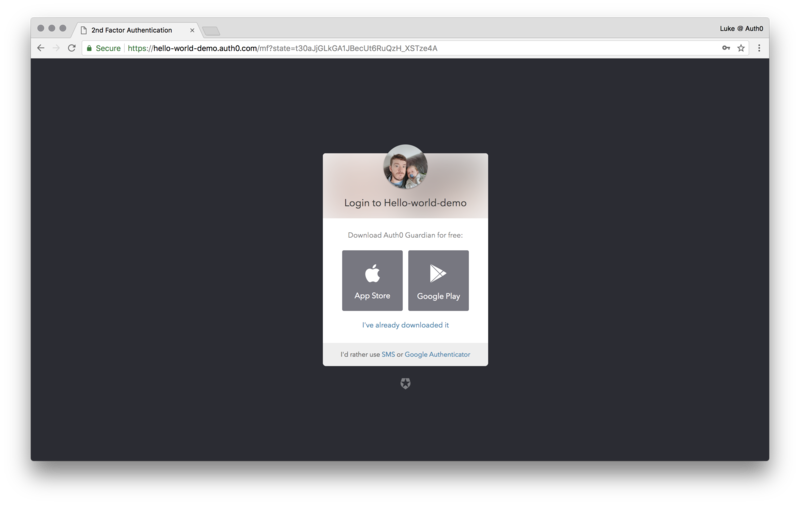 Auth0's Universal Login is the most secure way to easily authenticate users for your applications. The login page appearance and behavior is easily customizable right from the Auth0 Dashboard. By default, the login page uses Auth0's Lock Widget to authenticate your users, but the code of the login page can be customized to replace Lock with the Lock Passwordless widget, or an entirely custom UI can be built in its place, using Auth0's Auth0.js SDK for authentication. 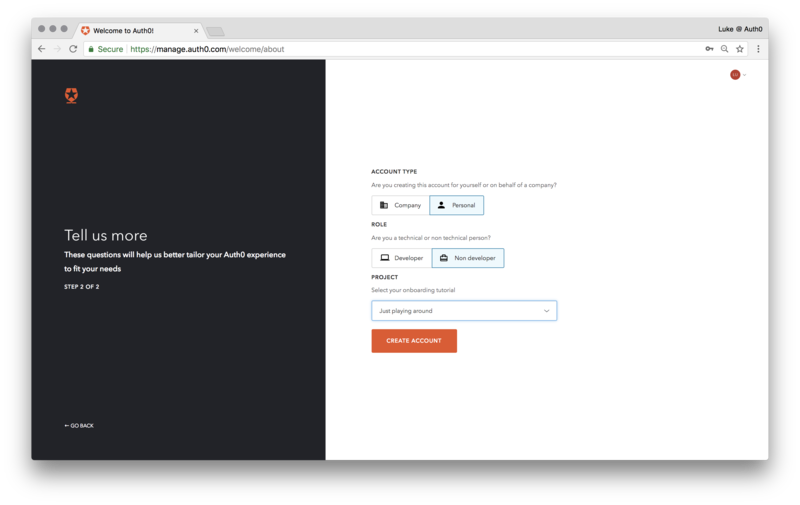 We used Auth0's Customizable Hosted Pages to brand our login and sign up form. 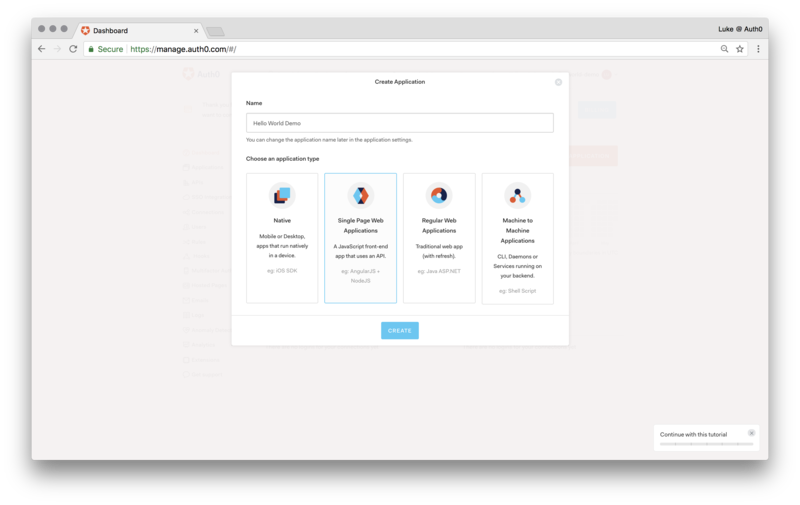 Auth0 offers you the ability to display customized pages containing Auth0-related functionality and to which Auth0 redirects your users during the authorization process. Using Auth0's support for Identity Providers, we setup Facebook as a Social Provider to authenticate users. An Identity Provider is a service that can provide identity information for you. For example, Google is an Identity Provider. If you log in to a site using your Google account, then a Google server will send your identity information to that site. Auth0 sits between your app and the Identity Provider that authenticates your users as an identity hub. This adds a level of abstraction so your app and your data can be isolated from any changes to and idiosyncrasies of each provider. We setup MFA with Auth0's Guardian solution to provide a simple and secure way to implement MFA. When using Guardian with Auth0, users will be prompted for additional authentication from the Guardian mobile application, helping to provide a more secure login. MFA is a method of verifying a user's identity by requiring them to present more than one piece of identifying information. This method provides an additional layer of security, decreasing the likelihood of unauthorized access. We've used an Auth0 Rule to restrict sign up to users only from the same domain as you. The callback url is missing from your application config. 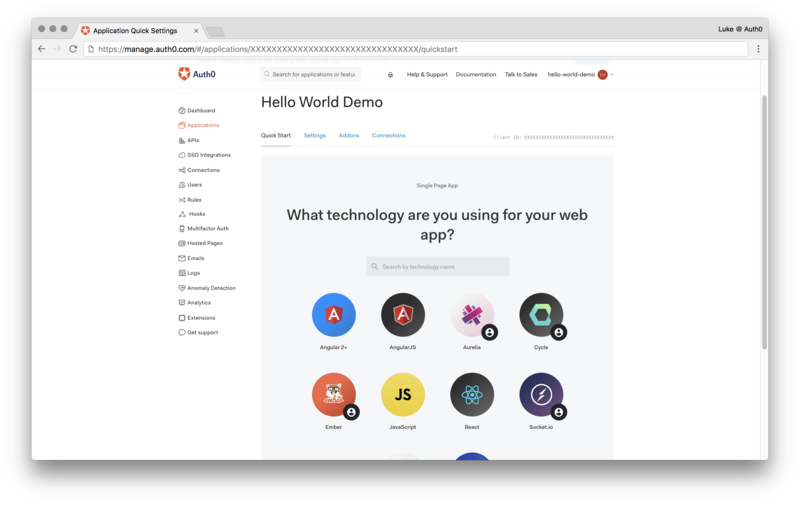 Head to the settings tab of the Hello World Demo application we created on the Auth0 dashboard. Look for somewhere to set a callback URL to http://localhost:3000 and click save when you're done. Note: A callback URL is a URL in your application where Auth0 redirects the user after they have authenticated. The callback page is usually prepared to read and validate your authentication on your return. You need to find the Facebook login switch and turn it on. At this stage you don't need to provide any further information or configuration, just save the default settings and ensure the switch is enabled. Note: This isn't advisable for production environments, that would need to configure their Facebook login with their own development keys and configuration. You need to use a username and password for signup. Multifactor authentication won't work if you try and sign up with a social login (Facebook or Google are probably enabled by now). Make sure you're signing up on your sample project as well, not just logging in. Head to http://localhost:3000/ in your favourite browser and click on our Log In button. When you're at the Auth0 login page, select the Sign Up tab instead. Tip: Make sure to change gmail.com to the domain of your email address. e.g. if your email is joe.bloggs@gmail.com your domain is gmail.com, but if your email is luke.oliff@auth0.com your domain is auth0.com.